Good news of Sony fans, as we might be very close to the release of the next flagship smartphone the Japanese company teased us in the last couple of weeks. 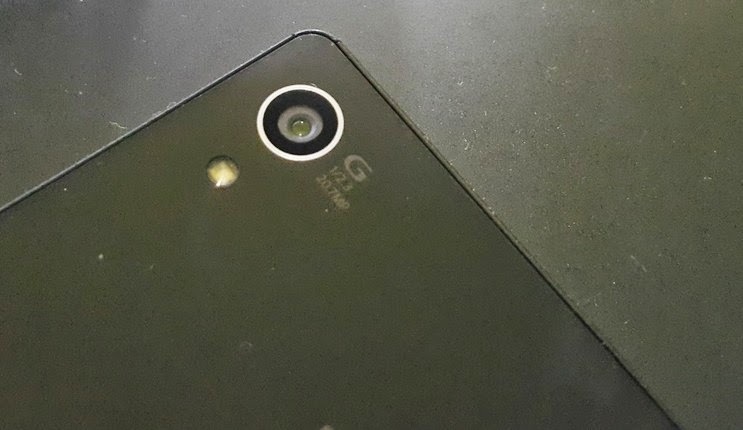 The first press renders of the Xperia Z4 leaked online less than three weeks ago. According to the source of that leak, the device in the pictures might not be the final product, but a very close version. 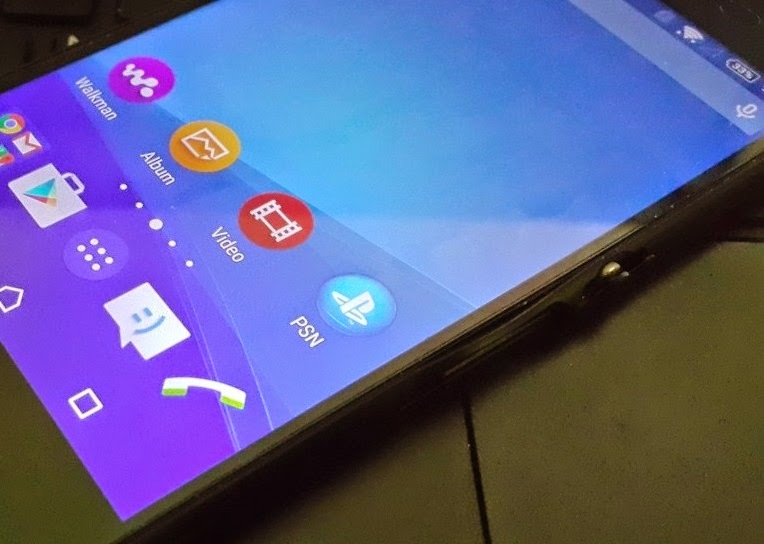 Today, a few more pictures of the alleged Sony Xperia Z4 leaked online via Greek blog in2mobile. The live pictures show a large part of the phone's display and the main camera on the back side of the smartphone. One of the pictures also confirms the smartphone's model number, E6553 and the fact that it's equipped with a Qualcomm Snapdragon MSM8994 chipset. 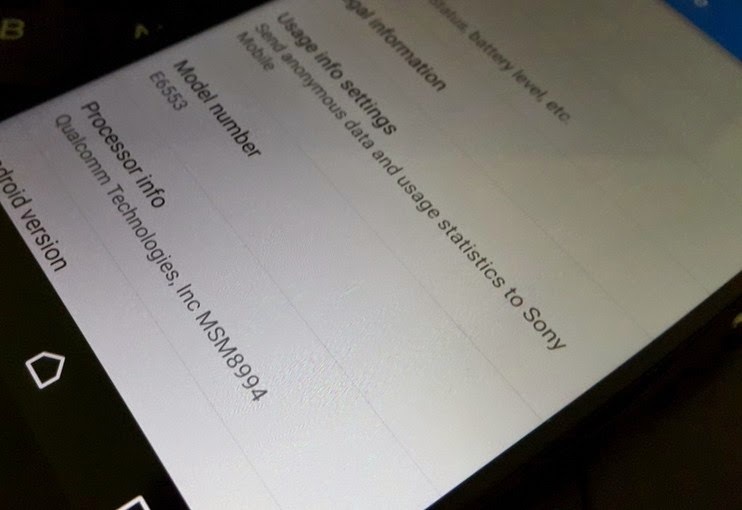 Since the smartphone has been spotted in GFXBench last month, we already know some of the specs of the Xperia Z4. However, Sony probably has a few prototypes in the wild, so the hardware specification may not be final. We do know that Sony Xperia Z4 will ship with Android 5.0 Lollipop operating system out of the box, or perhaps Lollipop 5.1. Today's pictures also confirms that Sony's flagship smartphone will pack a 20.7-megapixel photo snapper on the back. The phone's 64-bit octa-core Snapdragon 810 processor will be clocked at 1.9GHz and will be complemented by an Adreno 430 graphics processing unit and 3GB of RAM. We also know that the smartphone will be packed with 32GB of internal memory and microSD card slot for memory expansion (up to 128GB). As for the screen, Sony has decided to not go for a Quad HD display, instead the Xperia Z4 will be equipped with a 5.1-inch full HD (1080p) capacitive touchscreen display. In the front, the smartphone is said to sport a 5-megapixel camera for video calls and selfies. We also know the Xperia Z4 will be IP68 certified and that it will be powered by a 3400 mAh non-removable battery.